Summertime = sandal time. Ok, well we actually believe that pretty much every time is sandal time, and everyone could use a good pair. 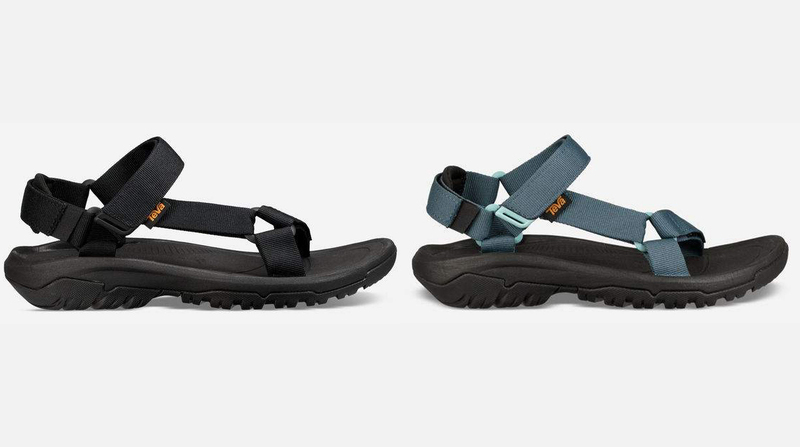 And the two winners of our Giveaway this week will each win a pair of the new Hurricane XLT2 sandals from Teva. And you’ll get to pick whatever colorway you want (there are some pretty sweet options to choose from). The redesigned Hurricane XLT2 maintains the original’s classic styling and design, but features some smart upgrades designed to make them even more comfortable. The Hurricane XLT2’s softer heel-strap padding is meant to reduce abrasion, and its new outsole is designed to increase durability and traction on a variety of terrain. We have several reviewers who love the original Hurricane XLT for its combination of comfort and versatility, and we think the new version’s upgrades make this classic sandal even better — whether you’re wearing them at the beach, in the mountains, or to your cousin’s wedding. By entering, you’ll also receive our weekly Blister newsletter, where we’ll (a) announce each week the winner of our previous Gear Giveaway, (b) provide a roundup of the news and our highest-profile reviews of the past seven days, and (c) offer sneak peeks of the products we’re currently reviewing. It’s good times for sure, so don’t miss out. You’ll also be kept up to date on all the latest from Teva. Good luck!